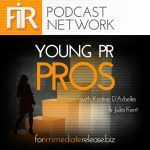 You are here: Home / Young PR Pros / Episode 118: What is work-life balance? A common issue our generation is trying to cope with is work-life balance. For our parents’ generation, most people could survive on one income. At the same time, unions were born, giving way to the 9-5 work day. That reality is now but a fantasy. With higher cost in education – resulting in more debt, decrease in job security, and soaring house prices, it is no wonder most of us will end up in a two-income household, or working several odd-end jobs to make ends meet. Not to mention, the age of the internet, smartphones and FOMO, means we are constantly plugged in to work and social media. All of this coalesces into a perfect storm of: all work no play lifestyle. So what is a millennial to do? How can we balance our work with our life? Recently, France banned after-work emails in a move to try and solve what they considered an epidemic. A 2014 study found those doing work after hours were more likely to report at least one health problem — ranging from the psychological to the gastrointestinal and cardiovascular. But is this really the solution? Do we need to ban after-work emails to find a work-life balance? In this episode, our hosts offer tips and advice for young professionals looking to strike a healthy balance between work and life. Remember, these tips may shift based on your personality, priorities and general life circumstances. How have you maintained a healthy balance?